Our second post starts with a big thank you to everyone reading this article and especially to the members of the community forum, our e-mail subscribers and ticket system users who contacted us. We had a really, really busy September. We won’t really bore you to death with any details though. Let’s have a quick motivation exercise. Guys and girls, never give up. Finish your ideas and unleash them – the internet public will eventually value your efforts and respond to them in time. It’s what we’ve realized and experienced in the recent months and we know we are not the only ones feeling this way. Wow, thanks a ton! Three sentences just put meaning into our 2 years of hard work and empowered our motivation! Such words could be said to each and every one of you if you give your best and believe in yourself and your projects. Aside from such flattering words as Kristo’s we received a lot of feedback on what Microweber lacks. This is great because we get reminded that our work is not nearly done and have a lot of stuff to do! Let’s be more specific here: we’re sharing with you the things that an online business needs the most in its online shop interface. A big thanks to http://salesedge.microweber.com. Create a campaign for the holidays or maybe give away a coupon code to your most loyal customers? This is a perfect way to advertise your store. 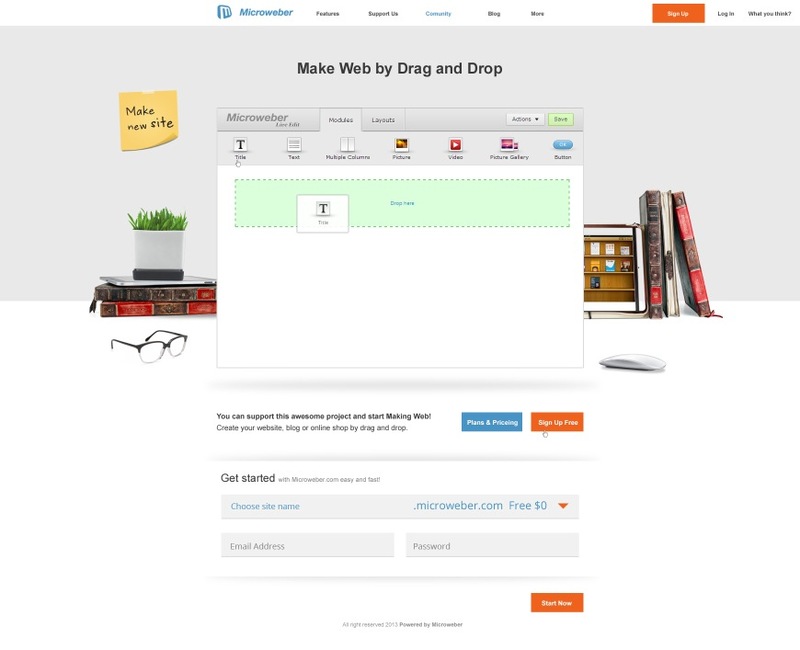 Remind your customers of their orders by sending a customizable e-mail to them. This works wonders for many businesses. Customers often want to leave feedback after making their orders. With Microweber they can choose between a video feedback or a written one. Leaving feedback accumulates points for them, as does purchasing items or sharing products from your site. This will give them a way to get involved with your store and have fun! A function that is terribly important for people looking to chat with their customers in case they would like to make an order or simply ask questions. You can market to all the members who signed up to your websites newsletter. Get updates that shop owners like myself can customize. Pre templates for making great call to action emails and a system base of all of our customers’ information so we can choose to send emails based on gender, or styles they are interested in. I think this is useful as we can give coupon discounts on the products that customers add to their wish lists. So they can add products to the wish list of theirs and we can then market to them savings on the items they have added to their wish list. Don't risk lost sales on sold out items. Back in Stock allows your customers to register for an instant email alert when an out of stock item is available to purchase. If you could add a list more of places we can share to that would be great such as Twitter, Facebook, Tumblr, Pinterest, Stumbleupon, Email, Blogger, Wordpress, Linkedin, and other popular places. This is perfect for those who would like to gain money or discounts for referring members to our website. This is where a customer can create a clan or group name and invite members to that group. They can send messages to one another and shop together. Whichever group makes the most sales or recognition will gain prizes from us. They can customize their group page and share their group page with friends. We can create a page dedicated to some products we are willing to offer up for free when we reach our thousand or 10 thousand share from our customers. This is perfect for people like me who have thousands of items to upload. So if we can upload all of our items with a CSV and Text file that would be great. It would be nice if you can add a SKU option so we can place items with SKU numbers and we could pull them up in the back office by SKU. So that way it would be easy for us to remove items that are out of stock. This is very much needed. These are not mandatory at the moment but would be great features that are needed and would definitely put Microweber on top of the web making food chain. These are suggestions that are very popular. Thank you too, http://salesedge.microweber.com, thank you for your time and feedback! Your recommendations are excellent and we completely agree that such things are needed for every online business out there. We will try our best to implement them beautifully! We thought about it and decided that there is a huge need to improve the content creation process. 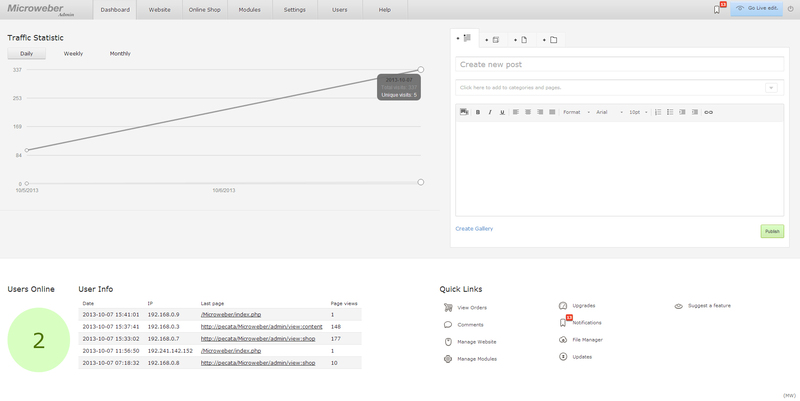 So we added a Quick Post to the Dashboard and inserted in the Toolbar too. Improved "Live edit" design and functionality. We are making the live edit a lot lighter and easier to use. We improved the “Live edit” design and functionality. What we’re aiming at is lightness and an unbelievably easy way to use it. 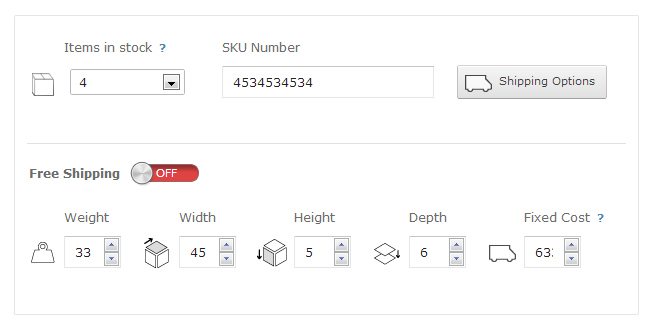 Template settings is a tool to help you with defining the overall style of your website. 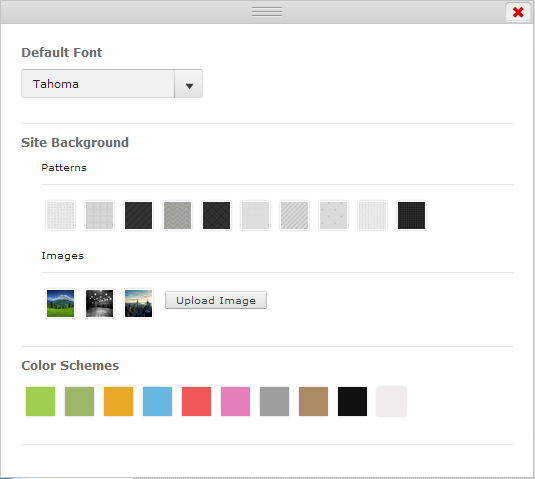 Customize your website font, choose a color for your background or links and many, many more. You can click the Design button in the Live edit and voila, the artist in you is unleashed. 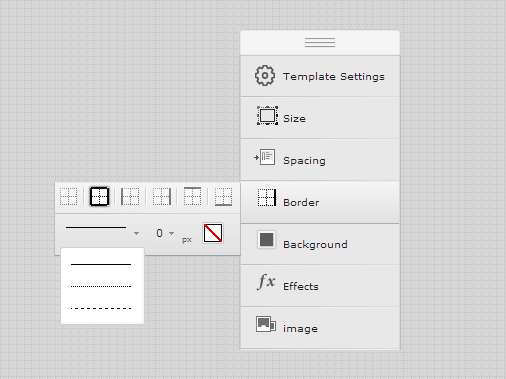 A few users requested moving the default template to Bootstrap 3 so we will do this. We also included some new templates with an online shop included – all of them have excellent designs, of course! A home page with a 10 seconds video with the main Drag & Drop features will replace the current one. Be sure to follow it and click the magic “Sign up” button! We give and will continue giving our best to provide everything you need so you can create a beautiful website or online shop. We would like to address the web design companies: guys, Microweber is exactly the Open source project you need. We made it just so you can use it to its fullest! Same applies to the freelance developers who can easily use our CMS for their products. Come to think of it – is there really a reason not to use Microweber? Just take a go at it and tell us how you feel afterwards! You can fire up the Microweber Beta version from here. It was a great September, really. We know what’s next on the agenda and can’t wait to share with you some new stuff. Be patient, though! Be sure to subscribe for our next article and post with updates. Comments for What is going on and why are we doing this?